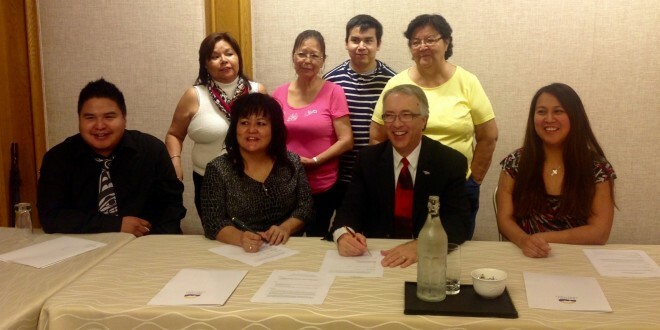 Wet’suwet’en First Nation band council sign LNG deal with Coastal Gaslink Project. Photo from CFNR FM. Another Burns Lake area First Nation has signed an agreement with the BC government related to a natural gas pipeline project. The Wet’suwet’en First Nation, formerly known as the Broman Lake Band, stands to receive $2.8 million dollars from the province for the proposed Coastal GasLink project.